It's no secret that, for me, Israel was probably one of the last places I thought I'd ever want to visit. After all, a Holy Land tour and journey to Israel where the Bible comes alive is something "old people" do when they want to get "religious" before they die, right? Well, that's what I used to think. That is until about 15 years ago when I was feeling a strong urge to go to the Holy Land. It just so happened that I was attending a mega church in Van Nuys, California, known as the Church on the Way and our Senior Pastor, Jack Hayford, was hosting a trip to Israel the first week in April. So I decided to lay down the $2500 and take a 10-day Holy Land tour of Israel and join this special Walk Where Jesus Walked tour that would be hosted by the spiritual shepherd of the church I attended. Needless to say, my life has never been the same since this spiritual tourism experience. Many people take spiritual tourism sojourns to places as far and wide as the Taj Majal to Mecca to Tibet and beyond. 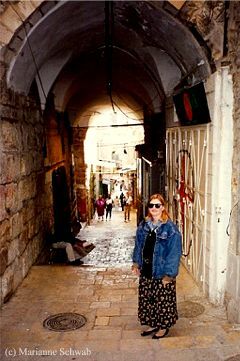 For me, as a Christian, that journey was to visit the Holy Land of Israel and the Bible started to "breathe" for me from the moment I first stepped foot in this amazing country. I can understand why many people may be skeptical about the Bible. 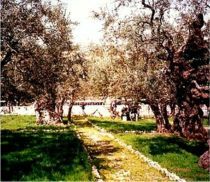 As a matter of fact, I used to be one of those people, but when you visit the real villages and cities where Biblical events took place, the books of the Old Testament and New Testament take on an entirely new meaning. 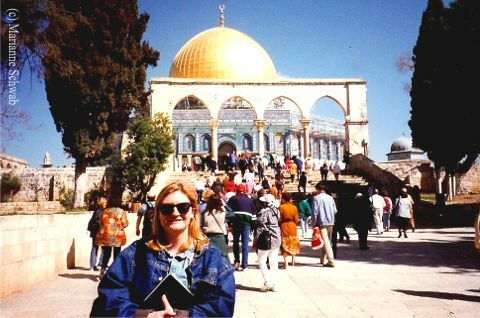 I started writing my travel blogs on Israel on Palm Sunday (see the right column on this page), the beginning of Holy Week, and on the fifteenth anniversary of my trip to the Holy Land. I have longed to return to Israel since, but have yet to make it back. I do have some travel advice for anyone considering a Holy Land tour of Israel and journey to Israel where the Bible comes alive from a Christian perspective. As much as I don't like group tours, I would recommend that you take an organized Walk Where Jesus Walked tour of Israel if this may be the only time you go (and this is a trip of a lifetime) and/or you have never been to Israel before. If possible, find one organized by your church or another respected group. I understand the ones hosted by Pastor Greg Laurie from Harvest Church in California are wonderful. Most are open to the citizens of the world and you can listen to the Pastor's messages online to see if this particular tour will be a good fit for you. The pros about a group tour is that you will not a miss a thing. You will see everything (for the most part) of Biblical significance and your memories will be enriched by the guides knowledge of each place you visit. Also, since there is always a threat of terrorism in Israel, a guided tour is designed to keep you safe and avoid any areas that may be known to be hostile and this can change day to day. The cons of the group tour is that you may pay more overall for your trip to Israel and it may feel more like a "get back on the bus" tour as your time at holy places where you may want to linger and soak up the spiritual moments will be limited. 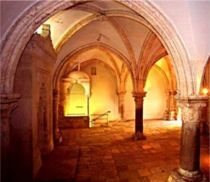 If you prefer traveling outside of a group, then do plan on hiring a local guide who can take you around for your first day in Jerusalem and the Galilee. Other wise, you can rent a car and tour the country, but do ask your local guide's advice on any danger or warnings they may be aware of before you travel. Note: Although you do have to be cognizant of the political climate of Israel, it's not like you see on CNN and I felt very safe during my visit. 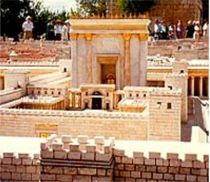 Jerusalem is the heart of Israel and the site of the original Temple. Highlights to visit in this city include the Western Wall, the original Temple Steps, The Eye of Needle, The Upper Room, Garden of Gethsemane, Golgotha - the Site of Crucifixion , The Garden Tomb, along with David's tomb, the Damascus Gate, and many more sites of interest. You will also want to visit the Church of Holy Sepulcher and take a walk on the Via Dolorosa. Bethlehem is the birthplace of Jesus and a definite must see location on your Holy Land tour of Israel. Depending on the political climate, you may not be able to visit Bethlehem and recent events mean that access to this village is unpredictable. One of the most memorable travel experiences of my life was floating in the Dead Sea and seeing the mountains of the Judean desert on one side of the sea and the Jordanian mountains on the other. It is a vision forever etched in my memory. I'll never forget the sensation of only being able to float - it made me giggle like a ride at Disneyland. Not "spiritual," but so much fun! Masada is a desert fortress overlooking the Dead Sea and is situated at the top of an isolated rock cliff at the western end of the Judean Desert. Historian Josephus Flavius recounted the story told him by two surviving women of Masada where almost one thousand Jewish men, women and children decided to burn the fortress and end their own lives, rather than be taken alive by the Romans. The site of Masada was identified in 1842 and extensively excavated between 1963 and 1965 and a cable car operates at the site to take you to the top but the Roman ramp still stands on the western side and can be climbed on foot. Ancient buildings at the location have been restored from their remains as well as wall-paintings of Herod's two main palaces, and the Roman-style bathhouses that he built. 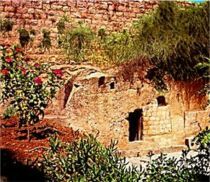 Jericho is considered the oldest city of the world still in existence and is located in the West Bank nestled in the natural background of mountains and the Dead Sea. 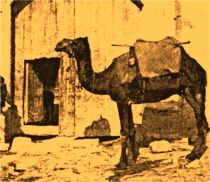 The Old Testament records that God told the Israelites to march around the city of Jericho seven times instead of going into battle to conquer the city and then the walls of Jericho came tumbling down. The ruins of this ancient city has incredible history but is most significant as an Old Testament location. 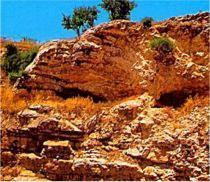 The Philistines battled the Jewish King Saul at nearby Mount Gilboa in 1004 BC and won. The book of 1 Samuel states that the victorious Philistines hung the body of King Saul on the walls of Beit She’an (in chapter 31). Yardenit is the celebrated baptismal site on the sacred Jordan River in Israel. Jesus himself was baptized in the Jordan River by John the Baptist. When I was in Israel, I was baptized in the Jordan River although I had been baptized at The Church on the Way a few years earlier. Although there is only one baptism for the forgiveness of sins, a renewal baptism is a re-dedication of living your life for Christ much like renewing your wedding vows. So even if you've been baptized, I see nothing wrong in renewing your baptismal vows in the Jordan River - I count this as the most AWESOME experience of my life. Tiberias is where you'll stay so you can experience the Galilee region where Jesus spent the majority of his ministry years. 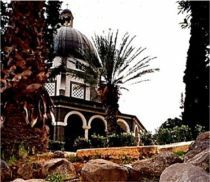 You'll be able to take the Jesus boat across the Sea of Galilee, visit Tabgha, Capernaum, the Mount of the Beatitudes, and so much more. The hometown of Jesus may be a bit of a disappointment in its modern form but you'll still want to visit Mary's Well in this city and walk in the footsteps of Jesus and the city where Jesus grew up. If you're a student of Biblical prophecy, then you'll want to visit Megiddo. This is the place where the final battle is predicted to take place based on the book of Revelation written by John. Caesarea is located mid-way between Tel Aviv and Haifa on the Israeli coast on the Mediterranean Sea. This is a significant New Testament location in the book of Acts. 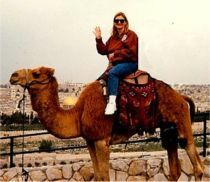 What a treat it was to sit on a camel! 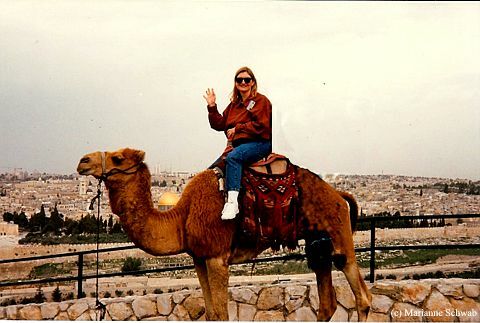 Now Jesus road a donkey, but sitting on a camel is a quintessential Middle East and Israel experience. Don't miss this opportunity when you visit Israel. My ideal trip back to Israel would involve planning at least 21 days in the Holy Land with another 14 days allotted for Egypt, Turkey, Greece, and Petra, Jordan (just because I hear Jordan is beautiful). I would love to have the time to read the Bible in the places where all the action took place. For example, I'd love to spend a week in the Galilee reading about Jesus' ministry in that region. There's a Chronological Bible that organizes the events in the Bible that makes this easy to do. 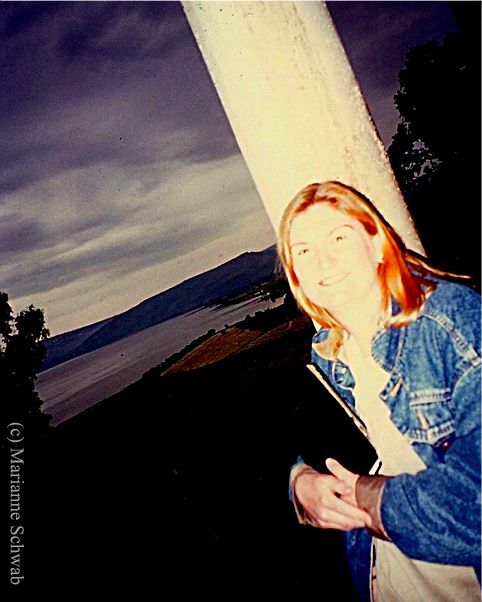 I love sharing about my travel experiences in the Holy Land on my Walk Where Jesus Walked tour because the Bible comes alive when you travel through Israel and visit places like the Mount of the Beatitudes nestled next to the Sea of Galilee and walk up the original steps of the Second Temple in Jerusalem. The right column has more related travel blogs to help you navigate your Holy Land tour of Israel where the Bible comes alive so please explore these and Shalom.